Giving back to communities in need with a message of resilience and teamwork—on and off the ice. The first Inuk player in history to be drafted by the NHL, Jordin Tootoo announced his retirement after 13 years in the league to give back to the communities he knows and loves. Bringing a message of inspired inclusivity, Tootoo speaks to the need for real teamwork—at work and in our social communities. A trailblazer on and off the ice, Tootoo’s talks offer a moving and timely discussion of grit and resilience, goal-setting, overcoming adversity in the pursuit of excellence, and how life can be improved through meaningful stewardship. Jordin Tootoo played for the Brandon Wheat Kings in the Western Hockey League (WHL) from 1999 to 2003 before being chosen by the Nashville Predators in the 2001 NHL Entry Draft. He went on to play with the Detroit Red Wings, New Jersey Devils and Chicago Blackhawks, banking 161 points, including 65 goals in 723 career games. Of Inuit and Ukrainian descent, Tootoo is not just the first Inuk player, but also the first one raised in Nunavut to play in the NHL. As an Indigenous athletic leader, Tootoo has long understood his responsibility as a role model, speaking openly about the need for mental health resources, and fighting the taboos around discussing mental illness. He is committed to reaching Canada’s Indigenous communities through his work with the Team Tootoo Foundation, founded in honor of his late brother Terence. He was awarded a Meritorious Service Medal for his work in Nunavut promoting healthy living and encouraging conversations about difficult topics like addiction and suicide. “It’s part of Canada that a lot of people struggle with mental health and addiction, suicide, these issues are a national epidemic. I feel that, at this point in my life, it’s my calling to give back to a lot of these remote communities,” says Tootoo. 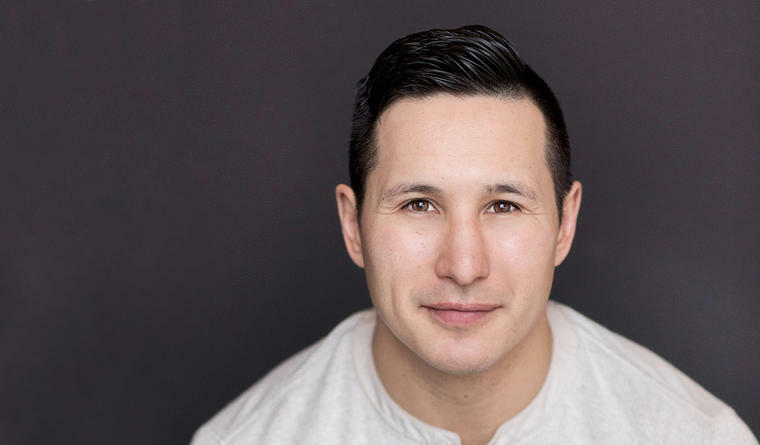 Bestselling author of the memoir All The Way: My Life on Ice, Tootoo brings an uplifting message to his audiences, creating a culture of inspired inclusivity with authentic hockey and community stories. As an Indigenous trailblazer, Jordin Tootooo understands his responsibility as a role model and has committed his life to reaching Canada’s Indigenous communities through his work with the Team Tootoo Foundation that he founded in honour of his late brother, Terence. Tootoo, who grew up in Nunavut, 200 miles south of the Arctic Circle says “it’s part of Canada that a lot of people struggle with mental health, addiction, and suicide. These issues are a national epidemic. I feel that, at this point in my life, it’s my calling to give back to a lot of these remote communities.” A bestselling author and seasoned speaker, Tootoo brings an uplifting message of creating a culture of inclusivity, telling humorous and authentic stories about his ground-breaking work on and off the ice. Your audience will leave uplifted and inspired, with clear takeaways on bringing NHL-level teamwork skills into any community. For thirteen years, Jordin Tootoo traveled the world as a professional hockey player, in the NHL and the Olympics, getting insufficient sleep, body-checked, and pushing himself to extremes. Still, he never stopped wanting to extend himself. In this talk, Tootoo explains how you can bring the momentous joy of tearing across the ice to your team, remembering the passion and drive to win when the daily tasks threaten to make you forget the big picture. In an exciting and inspiring talk based on his years on and off the ice, Tootoo shares galvanizing insights on leadership and creating a culture of exceptional teamwork. Former pro athlete Jordin Tootoo seems like he has it all—wealth, fame and the spoils of a high-flying career. But on August 28th, 2002, Tootoo’s brother Terence took his own life, and things were never the same. In memory of Terence, Tootoo started the Team Tootoo Fund to raise awareness for suicide prevention and youth at risk, all while dealing with his own addiction to alcohol and a family legacy of mental illness. Growing up in Canada’s north, he witnessed first-hand the devastating impact that mental health and addiction issues can have on families and communities. In this moving and eye-opening talk, Tootoo discusses his own personal experiences, destigmatizing the important conversation around addiction recovery, mental health, and suicide prevention, all while sharing a hopeful message of resilience and understanding.